The factors have asked us to let you know the following -"We will be carrying out tree felling operations in Darroch wood on Scaniport estate commencing 7th March 2019. During this time access may be limited for safety reasons. In your capacity as chairperson for the South Loch Ness Access Group can you please be make it known that all operational signage should be observed when accessing Darroch wood". This work may aslo be taking place over weekends. This year the profits from the event will go to this group - the South Loch Ness Access Group. This year's course is approx 22.5 km. 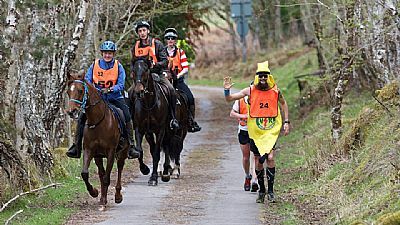 Entries for both runners and horse riders are now open on www.entrycentral.com and cost £30 per person. A great fun event with refreshments for helpers and competitors at the finish. £100 prize to the fastest overall on the day donated by the South Loch Ness Tourist Group, plus the Jacobite Warrior Challenge Quaich. The new map of trails and paths that we have been working on since January, is hot off the press and now available at many outlets in the area. All residents of Dores and Essich, Strathnairn and Stratherrick will have a copy delivered to them at home by their community councils. 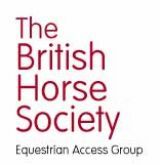 The Access Group has made copies freely available to all the councils for this purpose. We are delighted with the map, which is in folded A2 format and on one side shows an overview of the whole area and on the reverse has blown up inserts of popular local areas which offer great tracks for all classes of user. Also - do please let us know if you think there are any errors or ommissions in the map. Tell us too if you think we have done a good job! The map is free but we are always happy to receive donations which will go towards further reprints.